In the fall of 2009, when the Disarm Now Plowshares activists went for a walk on Naval Base Kitsap/Bangor, they carried with them the hope for nuclear abolition and hundreds of sunflower seeds to sow on the base. 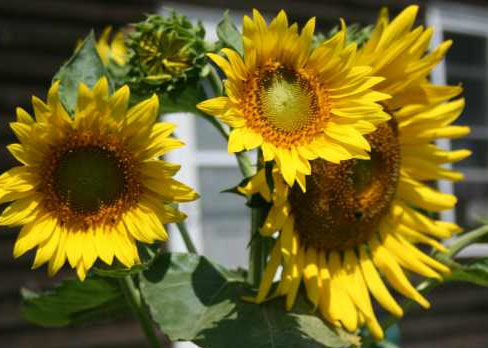 Sunflowers are the international symbol of nuclear disarmament. The sunflower plants are able to extract pollutants, including radioactive metal contaminants, through their roots and store them in the stems and leaves. This process is called phytoremediation.